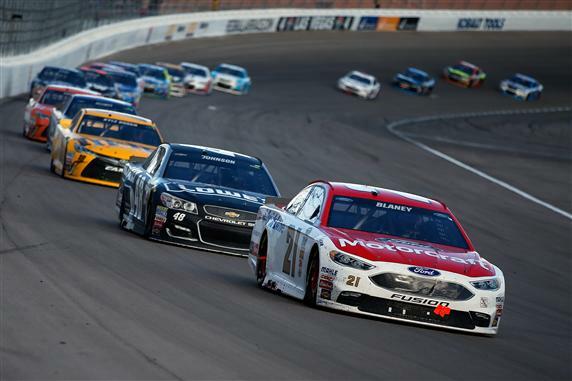 The NASCAR Sprint Cup Series Sunoco Rookie of the Year race has been as good as advertised. First-year full-time drivers have strutted their stuff, providing entertaining racing and strong finishes. In the latest chapter on Sunday at Las Vegas, Chase Elliott and Ryan Blaney ran in the top 10 for the majority of the race. Elliott got tangled up in a wreck on lap 225 that ruined his day, but Blaney strolled to a sixth-place showing – his career-high finish at an open-motor track. Blaney leads Elliott in the NSCS Sunoco Rookie of the Year standings by seven points. Brian Scott and Chris Buescher trail tied for third (-10), while Jeffrey Earnhardt ranks fifth (-22).